Created on Jan. 16, 2013, 12:19 a.m. by Hevok & updated by Hevok on May 2, 2013, 5:29 p.m. The following are the author's thoughts and immediate reflections following a great week in Brussels. There were some clear positive results from this conference and perhaps one overarching issue that came up between all of the participants (number 4 below). People who had previously only knew each other online through Longevity Alliance associated Facebook groups met in person and this was an incredibly enjoyable experience. It was certainly so from this participant's perspective, but it seemed to be so for others as well. Meetings, dinners, drinks, and presentations all constituted a great social event. There were two and a half days of in-depth scientific presentations and debates - these can be seen on HEALES site and reposted around Facebook groups - that highlighted the variety of work around the world that is exploring and making tentative gains in the fight against the Aging process. The presentations also reiterated the key point that should be highlighted to the broader public: The Aging process itself is central to many diseases. These diseases themselves are currently thought to be issues deserving the entirety of research funding, while at the same time the underlying process (biological Aging) is seen as a 'natural' condition, and so dangerously underfunded. There was some great initial work in growing awareness when a large group displayed posters supporting the fight against Aging in the central tourist location of Brussels in the Grand Place. This is similar to work carried out by Longevity Party Russia in the past months and highlighted one key example of how public awareness might be raised in the future. There was a representative of the European commission attending two of the three days of the conference. She engaged in conversations with Longevity Alliance representatives on potential future European Union funding and meaningful early contacts were formed. While the week was going on I jotted down some ideas that arose from the proceedings. These are again personal reflections and I look forward to any responses to these. Register the organization of the International Longevity Alliance. Continue with the live funding approach with the European Commission by continued lobbying and submissions to the European funding mechanisms. Construct the organization of Longevity Alliance to allow for a number of subsystems to operate under this umbrella international alliance. As suggested at the conference these could include national and international manifestations of political parties, advocacy groups, and perhaps also a scientific network (for example Eduard Debonneuil has been working on something like this to be done over Skype). Set up a Longevity Island on Second life for continuous document sharing, formal and informal get-together, and very frequent conference presentations. Elect a board for the International Longevity Alliance to formalise the decision making as the group progresses. Begin raising funds by allowing members to make a direct monthly contribution online, perhaps looking at other fund-raisers at national and international level for a model. In addition, once the NGO is registered, arrange a Longevity Day for international synchronized events to raise awareness. Longevity Alliance should attempt to hold a series of conferences hosted by different national groups. This could be for example regularly on a bi-monthly basis with one bigger annual event. Perhaps the bi-monthly events could deal with specific areas of research while the annual would attempt to condense and present leading breakthroughs of the year in different areas and so form part of a synergistic approach to Aging. Advocate for the creation of one or more physical Longevity Alliance Institutes. This should be a place where scientists interested in pure biology of Aging research may come to work, collaborate and create, and so it should also have laboratories and support mechanisms precisely designed to encourage Aging Research. In addition the institute might also run academic programmes for students, who may then later progress to research themselves. Longevity Alliance could - both in the short and long term - look to big data management and scientific computing to address modeling of the ultimately closed and finite system of the human organism, forms of malfunctioning of the same system, potential treatments for these malfunctions (testing already shown and under way treatments), potential collaborations, and much more. This could be organized in such a way that the process of information sharing and discovery, and so progress itself, might all be sped up. 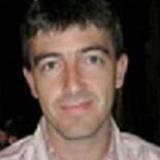 Martin O'Dea (MBA) is a business lecturer in Dublin, Ireland. He is an activist with the Longevity Alliance and is passionate about healthy life extension.